Imagine escaping to an island home away from home, a uniquely serene wellness retreat surrounded only by lush swaying palms and endless tropical skies. Ascending to a private, pampering haven 12 metres up amongst the treetops, letting the cares of the bustling world fall away and succumbing to a revitalizing, blissful reverie where recharging and recovery are paramount. Wellness wishful thinking? 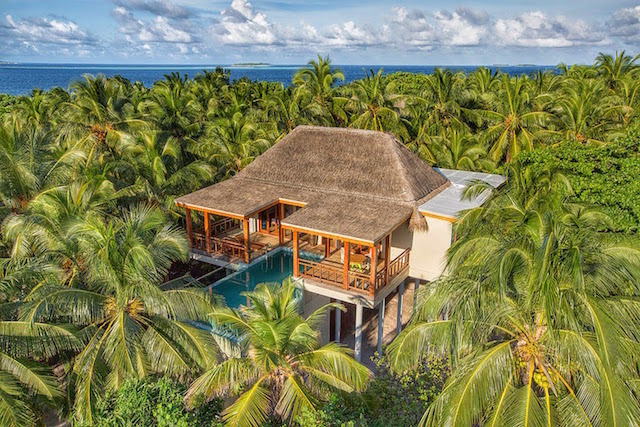 Not at Amilla Fushi: an exclusive collaboration between this luxury Maldives resort and global healthy living phenomenon Bodyism has borne spectacular fruit, with the creation of the idyllic island’s new Wellness Tree Houses by Bodyism. The new Wellness Tree Houses are private one-bedroom spa ‘nests’ with their own dedicated treatment suites, high in the treetops, where guests can enjoy a uniquely personal, inclusive wellness experience delivered by Bodyism Performance Specialists. After a personal ‘Body Oracle’ consultation, the Bodyism team helps Wellness Tree House guests to create their own programme from an integrated menu of Javvu Spa treatments and Bodyism fitness and wellness classes designed to re-establish energy flows, revive the mind, increase circulation and create a foundation for balance and health. Rates also include full board meals – and minibar snacks – from a specially designed Clean and Lean menu. In addition to a private treetop treatment suite, the contemporary and sleek air-conditioned 220 sqm Wellness Tree Houses also feature their own cantilevered infinity pools looking out over the tree canopy; an indoor living room area with sofa and work desk; a spacious bathroom and outdoor showers. Guests who decide against a complete digital detox can also enjoy a 42 inch flat-screen TV and satellite channels. 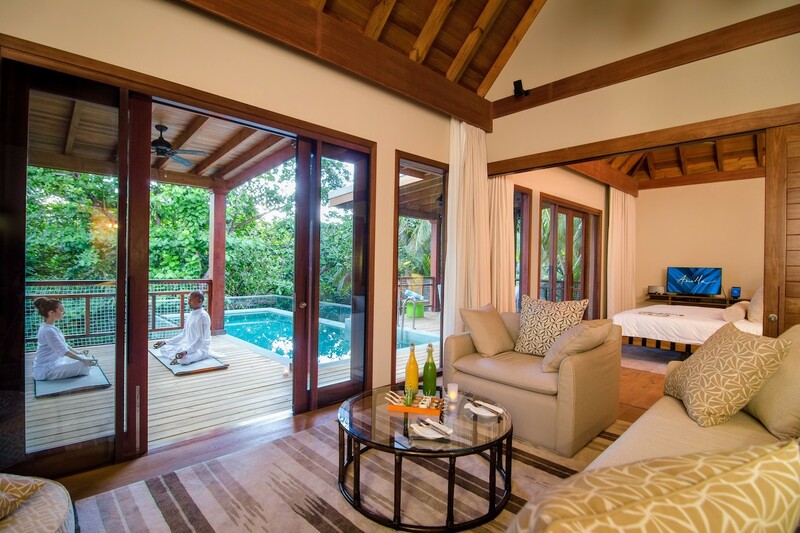 The launch of the new Wellness Tree Houses and Amilla Fushi Maldives Spa Resort recently announced an exclusive partnership with Bodyism, follow hot on the heels of the opening of Amilla’s ‘spa village’, Javvu Spa, in October 2015. Situated under a canopy of banyan trees at the heart of the island, Javvu features 10 private 48 sqm treatment pods, a large open-plan fitness centre, contemporary personal training studio and outdoor ‘jungle gym’ – all overlooking the Indian Ocean. Yoga, pilates, meditation and pranayama are led on the spa jetty over the lagoon, while a buzzy, shaded communal space provides a sociable hub complete with interactive shopping, lifestyle consultations and the new Island Café by Clean and Lean. Javvu’s holistic approach is founded on the three pillars of wellness – Movement, Spirituality and Spa. The integrated menu features results-driven spa treatments from a carefully edited selection of world-class brands; Bodyism wellness and fitness programmes and sessions using both the natural environment and the latest high-tech gym equipment; and ancient healing and energy therapies. Located just 30 minutes by seaplane from Malé International, Amilla Fushi offers a choice of 54 Island Homes that hover over crystal clear waters, nestled among lush tree tops or hug the shores of pristine white sand; plus eight spectacular four- to eight-bedroom Beach Residences ideally suited to large families, groups of friends and VVIPs seeking the ultimate in space and privacy. Internationally renowned chef and restaurateur Luke Mangan heads up Amilla’s innovative restaurants, from the diverse, informal foodie hub Bazaar to the relaxed yet sophisticated overwater dining at the signature Lonu by Luke Mangan. Guests can even drop in o gourmet café and deli The Emperor General Store or The Wine Shop & Cellar Door to treat themselves to lighter snacks, a favourite bottle or a gourmet selection of artisanal cheeses. With an unrivalled range of purpose-designed multi-bedroom accommodation options and an exciting, inspiring and active Kids’ Club, Amilla Fushi is putting the Maldives on the map as a destination not just for couples, but for families and friends. For more information or to book the Wellness Tree House by Bodyism package please visit //www.amilla.mv/wellness-tree-house.